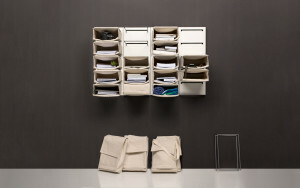 The main concept of the Aporte project was to integrate furniture into everyday life in a useful way. 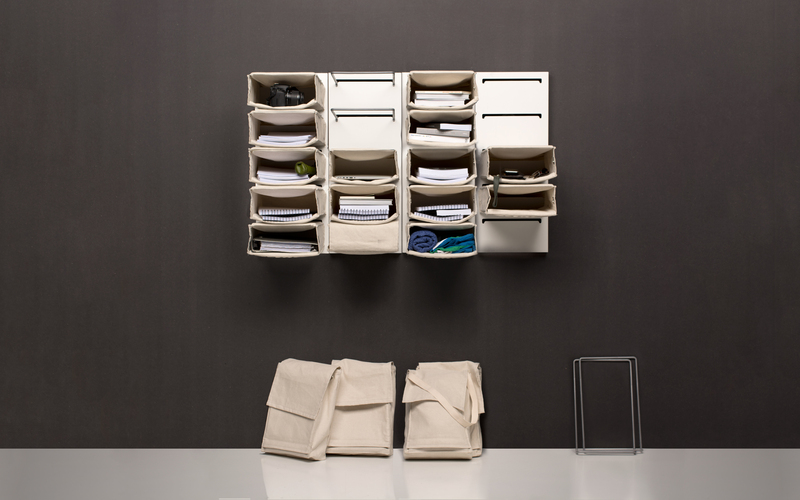 Each box of the shelf can be used as a bag, containing different useful things for daily life. 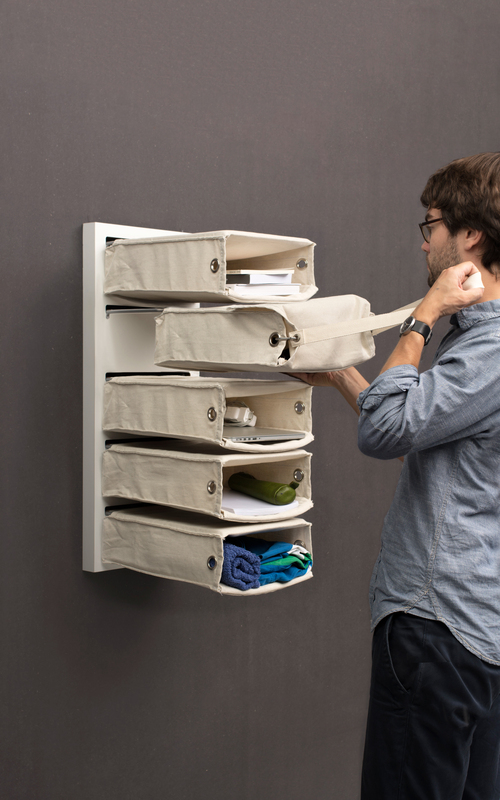 Each bag stands for a certain activity and hangs on the shelf within reach. 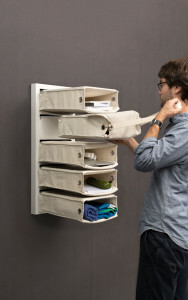 In this way, the shelf helps the user to organise everyday life. 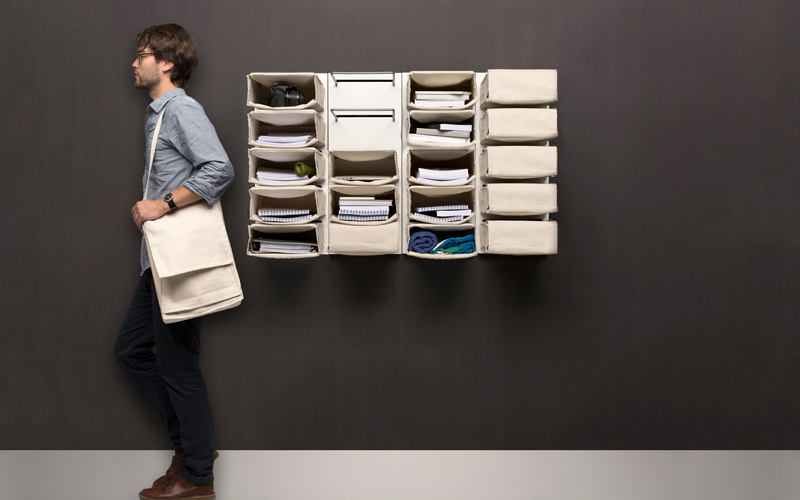 The winning project of the NWW Design Award 2014 is going to be presented as a prototype by Neue Wiener Werkstaette.